This April, we’re rolling out a slew of Mail Merge updates designed to speed up your workflow and give you better insights into how your emails are performing. Read on for all the details. 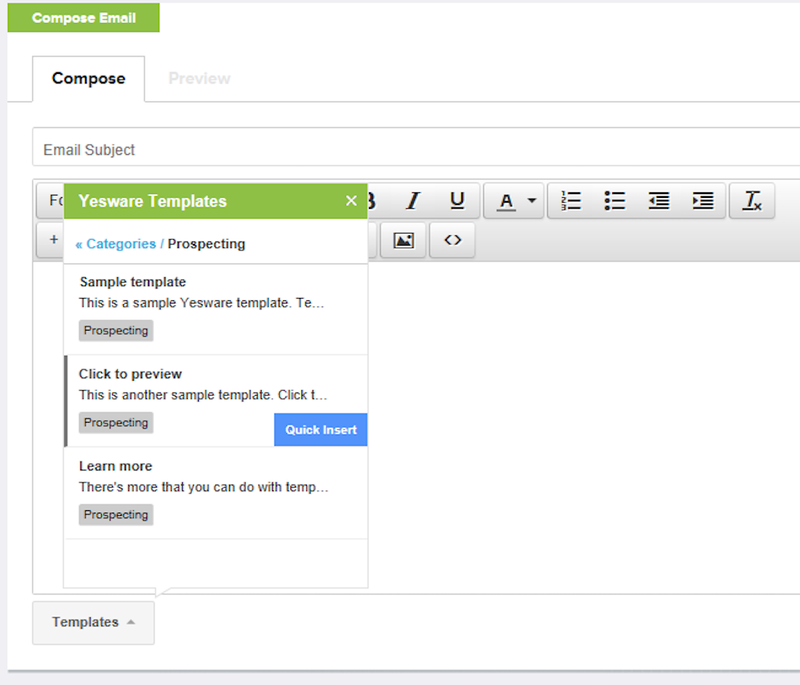 Tired of manually removing inactive email addresses from your Mail Merge campaigns? 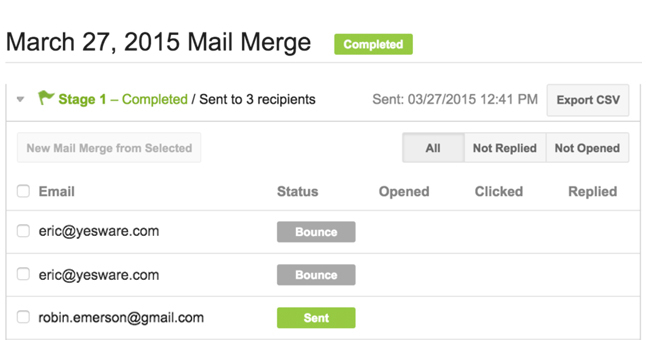 Mail Merge bounce detection automatically marks bounced email address as invalid and ends multi-stage Mail Merge processes associated with that address. The addresses are also marked “bounced” in your Salesforce activity report, allowing you to set up a trigger in Salesforce that marks these emails as inactive. No more spreadsheets! 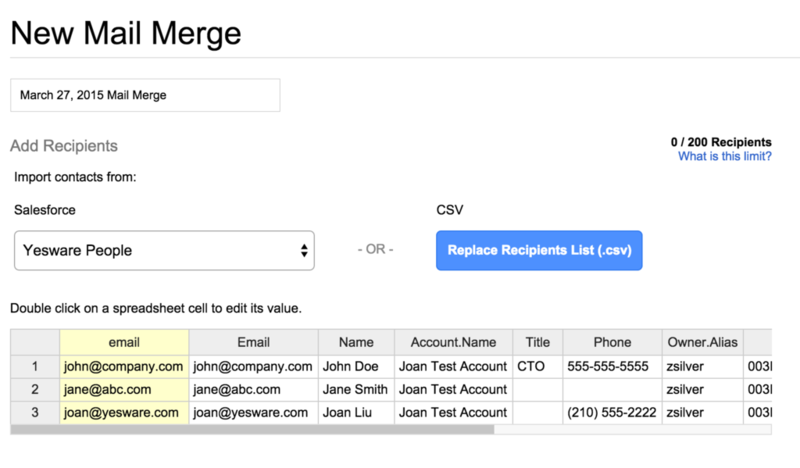 Google Apps and Gmail users can now pull lists for Mail Merge from Contacts or Leads in Salesforce. To get started, just click the blue “Start New Mail Merge” button. Then, use the “Select a Salesforce List” drop down option to import a list. You will see the fields in your CSV file auto-populate below the drop down menu. To make any changes to your list, double click on a spreadsheet cell and type in the desired value. Why is my Salesforce Lead or Contact list showing the recipient’s full name? Will edits made to Mail Merge recipient lists be reflected in Salesforce? Custom fields will auto-populate from your CSV file.